Malek Shafi’i is a founder and director of Afghanistan Human Rights Film Festival and BASA (Afghanistan Cinema Club). He is also a filmmaker and a writer. Lidia Sheinin is a Russian director, author of the film "Mama" (2013). Diogo Varela Silva is a Portuguese director and producer. Tristan Sindelgruber was born in 1966 in Graz. A present of a Super-8 camera for his confirmation sparked his interest in the world of film. Born in 1964 in Haifa Israel and grow up in Jerusalem. After exercising as a professional photographer in Tel-Aviv, he leaves Israel in 1985 and settled in Paris. Since he is sharing is time between Europe and Israel. Known for his controversial films, Sivan directed more than 10 worldwide awarded political documentaries and produced many others. Vladimír Škultéty is a Czech actor, screenwriter and director. Born 1975 in Warsaw, Poland. Graduate of Film Academy of Ljubljana, Slovenia. Since 2001 she is active as writer, director and editor. Jiří Slavíček was a Czech film editor, screenwriter and director. Miloslav Šmídmajer is a Czech film producer, director and scriptwriter. The films of John Smith conduct a serious investigation into the combination of sound and image, but with a sense of humour that reaches out beyond the traditional avant-garde audience. She was born on 25th March 1966 in Prague, graduated from the Documentary Film Department at FAMU in Prague in 1994. She incorporated her personal topics mainly in documentary films broadcasted by Czech Television. 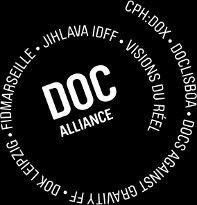 Maria João Soares worked as a producer manager for several documentaries about portuguese artists developed by the New University of Lisbon for the Calouste Gulbenkian Foundation, Since 2007, she's been working on the production of Doc's Kingdom documentary seminar. She is founding member of Malvada Prima, a film production company. “Como as Serras Crescem” is her debut film. Pavla Sobotová is s student of Documentary Film Departement at FAMU (Film and TV School of Academy of Performing Arts in Prague). Martín Solá was born in Argentina. He studied Documentary Film Directing in Barcelona and Film Directing in Buenos Aires.